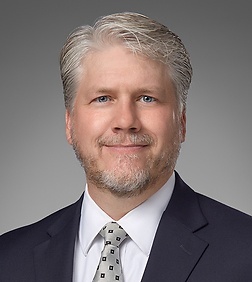 Jeff Forrest is a Land Use partner in the San Diego office of Sheppard, Mullin, Richter & Hampton, LLP and has been practicing law for 20 years after graduating from George Washington University Law School in Washington, D.C. with an emphasis on environmental law. Now a Californian, Jeff's practice includes complex land use planning, obtaining entitlement approvals, and land use litigation defense for clients such as Holland Partner Group, Hines, Cisterra, Lincoln Properties, Loews Resorts, Hotel Del Coronado, JStreet Hospitality, Choice Hotels, Lowe Enterprises, Greystar, BioMed Realty, Pardee Homes, KB Home, Brookfield Homes, Caydon U.S.A., Chevron, Integral Communities, Jay Paul Company, Steelwave, solar and renewable energy developers (NextEra, Tenaska, NRG, Con Edison Development, Wells Fargo, Sempra Renewables, Alta Gas, and Enbridge), Allied Waste, the Building Industry Association, Citigroup, Comerica Bank, Black Mountain Ranch, Sovereign Capital, LLJ Investors, and Lane Field Developers. Jeff specializes in counseling compliance with and litigating the California Environmental Quality Act ("CEQA"), National Environmental Policy Act ("NEPA"), California Coastal Act, Subdivision Map Act, Mitigation Fee Act, Endangered Species Act, and global warming laws and regulations. In doing so, his land use work covers all aspects of advising and representing residential, industrial and commercial developers through all phases of the land use regulatory process, including real estate due diligence investigations; negotiating development agreements, easements, annexation agreements, water supply assessments, and environmental permits; processing land use entitlements, and appearing before governmental agencies and commissions. Prior to joining Sheppard, Mullin, Richter & Hampton LLP, he served in the U.S. Congress as the Legislative Director & Counsel to Congressman Mike Castle following the Congressman's terms as Delaware's Governor. In Congress, he focused on bankruptcy reform, financial services modernization, corporate governance, environmental, appropriations and tax legislation. Jeff is a Board member of the National Association of Industrial and Office Properties and a registered lobbyist with the City of San Diego, the County of San Diego, and San Diego Regional Airport Authority, and the San Diego Port Authority. Hotel Del Coronado (KSL Resorts). Guided KSL Resorts through its successful efforts to obtain City of Coronado and California Coastal Commission permits for the Hotel Del Master Plan Amendment. The Master Plan for this 30-acre site consists of guestrooms, condo-hotel units, a conference center and restoration of the main hotel building designated a California Historical Landmark. Entitlements included a Coastal Development Permit, an Amendment to Development Agreement, an Addendum to EIR, and a tentative map for condo-hotel. Mr. Forrest went on to successfully defend the entitlement approvals against a CEQA lawsuit from the hotel's union employees and an appeal to the California Coastal Commission. Salk Institute Master Plan. Counseled the Salk Institute through its local entitlement process for its Master Plan to develop a 26-acre site in San Diego, California. The Salk Institute expansion plan, originally designed by renowned architect Lewis Kahn with input from Jonas Salk, required San Diego approval of a coastal development permit, site development permit, EIR, amendment to existing conditional use permit, historical preservation approvals, and a Multiple Habitat Preservation Area boundary adjustment. Sheppard Mullin went on to obtain an exemption for the project from a Federal District Court's injunction against all projects in San Diego containing vernal pools. Wistaria Solar Project (C-Solar Development LLC/Tenaska). Provide land use and CEQA counseling on Tenaska's 3,000 acre solar farm project in Imperial County. Oasis Solar Project (NRG Solar, LLC). Providing CEQA and NEPA compliance counseling on NRG Solar's 20MW project on U.S. Airforce base in Palmdale, California. U.S. – Mexico Cross Border Terminal (Otay-TJ Venture, LLC). Assisted Otay-TJ Venture, LLC, an affiliate of Chicago -based Sam Zell's Equity Group Investments in their efforts to develop the next land port to facilitate cross border transportation between the United States and Mexico in the Otay Mesa area of the City of S an Diego. The approximately 56 acre-site would provide both the cross border terminal facilities and office and commercial uses to serve this future commerce hub. The project has secured a Presidential Permit from the Department of State and efforts have now turned to securing the necessary CEQA approvals, development permits from the City of San Diego and the resource permits from various state and federal agencies. Imperial Solar Energy Center West and South (C-Solar Development, LLC/Tenaska). Provided complex CEQA and NEPA counseling on the development of two 250 MW solar generation project on two 1,000 acre sites in Imperial County, California. Project approvals sought include a Conditional Use Permit from Imperial County, Right-Of-Way Grant from the Bureau of Land Management, and certification of related CEQA and NEPA documents. Among the major issues include proper analysis of agricultural, global warming, water quality, cultural resources, biology, and cumulative impacts. Canergy Ethanol Plant (Canergy, LLC). Providing CEQA compliance and local land use permit guidance for low carbon biofuel plant in Imperial County, California. Bull Moose Biomass Energy Facility (Bull Moose Energy, LLC). The project proposes a facility in the Otay Mesa area of San Diego that will gasify biomass waste products, such as tree trimmings, to produce electrical power, while reducing greenhouse gas emissions and diverting several hundred tons of waste per day away from San Diego area landfills. The matter includes securing the project's local development permits and CEQA certification. San Diego Peaker Power Plant (Competitive Power Ventures). Assisting Competitive Power Ventures in its effort to develop a 200 MW clean, natural gas peaker power plant in the City of San Diego that would utilize recycled water to fulfill its process water demands. CREED v. City of San Diego (Pardee Homes). Prevailed over a CEQA claim brought by Citizens for Responsible Equitable Environmental Development (“CREED”) against a 1,500-unit multi-family project approved by the City of San Diego for Pardee Homes. CREED alleged that the state’s enactment of several global warming laws and the publication of various guidance documents by the California Air Pollution Control Officers Association (“CAPCOA”) required the City to analyze and mitigate for the project’s global warming impacts. The City inventoried the project’s greenhouse gas (“GHG”) emissions, incorporated project design features to reduce GHG impacts, but concluded that a full GHG analysis would be too speculative. Sheppard Mullin successfully argued both that GHG impacts were too speculative to fully analyze and that information about potential global warming impacts pre-dated the 1994 EIR for the project’s specific plan area. CREED also alleged that the Governor’s emergency drought declaration, water cutbacks associated with protection of the Delta Smelt and global warming impacts on snow pacts all invalidated the Project’s Water Supply Assessment (“WSA”) required by SB 610. Mr. Forrest successfully argued that SB 610 does not require the City to guarantee water supply, but only to show that the City has planned for adequate water supply. Sycamore Landfill Master Plan Expansion (Allied Waste Industries, Inc./Republic). Obtained Planned Development Permit/Site Development Permit for the Sycamore Landfill Master Plan in 2008, enabling the landfill to become one of the largest in the County and with the ability to provide solid waste capacity for the region for years to come. The representation continues through defense against CEQA-based lawsuits. Among the complex issues were vacating a web of easements, relocating a SDG&E transmission line, and analyzing the project traffic and global warming impacts. St. Regis Monarch Beach Resort & Spa (Citigroup Global Markets Realty Corp.). Provided land use and entitlement due diligence counseling during Citigroup's foreclosure on the 400-room, five start St. Regis Resort located in Dana Point, California. Representation included evaluation of maintenance agreements, easements, compliance with resource permits, and status of development permits and approvals issued by the City of Dana Point and the California Coastal Commission. Sears 101 Ranch (Brookfield Homes). Project includes 5,968 single-family dwelling units, 1,082 multi-family dwelling units, four schools, extensive park system, and 14.6-acre multi-use site for commercial retail office located on a 1,800-acre site in Imperial County, California. Land use matters and entitlements include EIR, development agreement, specific plan, formation of County Service Area, negotiation for the release of property subject to the Williamson Act, preparation of mitigation plan for the burrowing owl, and negotiation of water rights with the Imperial Water District. Del Sur Master Plan Community (Black Mountain Ranch, LLC). Project included obtaining entitlements for more than 3,000 homes, 20 percent of which are affordable; commercial uses, two golf courses and more. This representation involved defending project against water quality violations alleged by the Regional Water Quality Control Board and defending the project against CEQA-based lawsuits. Building Industry Association of San Diego (Vallecitos Water District Capacity Fee Repeal). Provided the Mitigation Fee Act legal analysis that forced Vallecitos Water District to repeal its ordinance for an extra capacity fee that saved development projects approximately $45 million. Sheppard Mullin successfully argued that there was no constitutionally-required nexus between the proposed new fee and the water supply impact of the high density development projects because the water district would already collect sufficient funds under the existing capacity fee to pay for new water infrastructure projects to serve the developments. University Village Specific Plan (Sea Breeze Properties). San Marcos City Council unanimously approved a 194-acre specific plan project called University District for Sea Breeze Properties. After five years of planning and review, the project converted the blighted area into a state-of-the-art, high profile, transit-oriented development proposing 2,600 mixed-use residential units, 800 student housing units to serve adjacent California State University San Marcos, 450 room hotel, 638,000 SF general office, 300,000 SF medical office, 1,000,000 SF mixed use retail/commercial, 30,000 SF community/civic, and over 40 acres of parks and open space. Despite its design as a livable, pedestrian-friendly, smart growth, mixed use project along the rail transit Sprinter line in San Marcos that will allow residents and students to live, work, shop and play without excessive automobile use, the project drew the ire of a neighboring property owner and Caltrans. Sheppard Mullin provided the legal analysis to overcome government takings allegations along with CEQA-related water supply, traffic, and easement vacation objections. Sheppard Mullin also counseled the City of San Marcos and the client on how to analyze global warming impacts and to streamline future review of phases of the project. The project represents another example of Sheppard Mullin's experience in entitling the type of smart growth, mixed-use projects that will play an increasingly important role in San Diego County. Planning Agreement for San Diego Vernal Pool Habitat Conservation Plan (Pardee Homes). Endangered Species Act litigation in 2006 enjoined over a dozen public and private development projects in the City of San Diego with vernal pool habitat. On behalf of clients such as Pardee Homes, McMillin and the Salk Institute, Sheppard Mullin provided the legal analysis to allow the City of San Diego to enter into a Planning Agreement with the United States Fish and Wildlife Service ("USFWS") to allow these development projects to move forward in the entitlement process while San Diego and USFWS developed a new habitat conservation plan to govern the protection of vernal pool-related endangered species. La Costa Town Square (Aspen Properties). Secured City of Carlsbad entitlement approvals for Aspen Properties for its development of an 80-acre mixed-use center, consisting of 284,400 SF of upscale retail, 55,000 SF of office, affordable apartments and condominiums, and single family homes. The project was the most controversial project in Carlsbad since the development of Legoland. Sheppard Mullin provided the legal analysis to overcome CEQA-related global warming, water supply, air quality, traffic and noise objections along with a streamlined procedure for making adjustments to the project that saved months of delay. Millennium Project (McMillin Development Company). Advised McMillin on the transfer of open space mitigation credits for its Eastern Urban Center/Millennium Project. Open space land was a Formerly Used Defense Site (FUDS) with issues related to remediation of unexploded ordnance. Mission Gorge Quarry (JJB Land Company, L.P.). Representing JJB Land Company and its affiliate Superior Ready Mix in the redevelopment of a 420-acre site Superior Ready Mix is mining in the Mission Gorge area of San Diego. Land use matters and entitlements include the project's EIR, tentative map, habitat management plan, Disposition and Development Agreement, school mitigation agreement, review of wetlands delineations, negotiation of reimbursement agreements, advising on strategies for obtaining the highest and best future use of the site in the context of the existing reclamation plan, and conditional use permit. Castlerock (Pardee Homes). Project consists of a 117-acre site, approximately 500 single-family and multi-family dwelling units, located in San Diego (East Elliott), California. Land use matters and entitlements include EIR, ACOE 404 Permit, USFWS Section 7 consultation, tentative map, MHPA boundary adjustment, annexation agreement, compliance with Local Agency Formation Commission (LAFCO) regulations, and acquisition of open space. Sunset Pointe/Crescent Heights (Pardee Homes). Crescent Heights project consists of a 185-acre site, 128 single family units and 144 multi-family units. The neighboring Sunset Pointe project consists of a 40-acre site, 36 single family units. Secured local land use entitlements from the City of San Diego for both project including EIR certification, tentative maps, amendments to local coastal program, coastal development permit, and preparation of irrevocable offers of dedication. Sheppard Mullin went on to earn Coastal Development Permits for the project from the CCC over the objections of CCC staff related to brush management zones. Also secured approval for the City to process the project following an Endangered Species Act-related injunction. Current representation includes establishing a Mitigation Bank and demonstrating compliance with project conditions. Nakano Annexation (Pardee Homes). The Nakano project involves the annexation of a 24-acre site into the City of San Diego from the City of Chula Vista to fulfill the Otay River Regional Park Concept Plan. The project proposes a neighborhood park with trailhead into the regional park on half the site and a church on the remaining portion of the site. Representation includes counseling on CEQA compliance, drafting property tax revenue sharing agreements and deannexation and annexation resolutions, as well as obtaining sphere of influence amendments, site development permits, tentative map, rezone, resource permits and other entitlements from the City of Chula Vista, City of San Diego and LAFCO. Gateway Development (Sudberry Properties). This project involves advising on the entitlement process for converting an abandoned drive-in theater site in Chula Vista/National City into a commercial retail shopping center that includes a "big-box" store. Land use matters and entitlements include rezoning the site, processing CEQA documentation, negotiating a tax-sharing agreement between the local governments, and addressing prevailing wage issues associated with the use of redevelopment funds. Rhodes Crossing (Keith Rhodes). Representation includes securing resource permit approvals for the Rhodes Crossing project in the Torrey Highlands/Rancho Penasquitos area of San Diego. This 147-acre project proposes to construct approximately 750 residential units, 270,000 SF of self-storage, and 250,000 SF of commercial use. Sheppard Mullin obtained approval for the project to resume entitlement processing after an Endangered Species Act-related injunction halted further work at the site. Lane Field Hotel (Lane Field San Diego Developers, LLC). Project is a 275-room luxury hotel with spa, pools, ballrooms and meeting rooms and 30,000 square feet of retail, and for a 525-room luxury hotel with associated pool, spa, ballrooms, and meeting space and 50,000 square feet of retail in the coastal zone on Port Tidelands. Successfully represented the client in obtaining its Coastal Development Permit from the California Coastal Commission and successfully defended the Port's Master Environmental Impact Report from challenge by the UNITE-HERE labor union. Imperial Solar Energy Center South (C-Solar Development, LLC/Lightsource Renewables/Tenaska). Currently advising on the development of a 200 MW solar generation project on 946 acres in Imperial Valley, California. Project approvals sought include a Conditional Use Permit from Imperial County, Right-Of-Way Grant from the Bureau of Land Management, and certification of related CEQA and NEPA documents. Among the major issues include proper analysis of agricultural, global warming, water quality, cultural resources, biology, and cumulative impacts.